A new report released from the California Faculty Association indicates Humboldt State is among the worst schools in the California State University system when it comes to a growing salary disparity between professors and administrators. 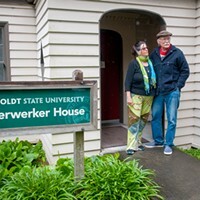 Humboldt State lost 25 percent of its full time, tenure track employees, more than any other CSU school. Meanwhile, the university’s full-time student enrollment went up 13 percent. Humboldt State’s average salary for managers and supervisors rose by 42 percent, while the average salary for full-time faculty rose only 1 percent. The president’s salary rose by 29 percent. 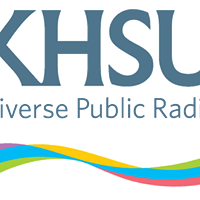 The average inflation-adjusted salary for HSU’s full time faculty dropped by more than $14,000, the largest decline in any of the 23 CSU schools. Tenure-track faculty positions have dropped by 31 percent. Dwindling tenure-track positions was one of the concerns that Unified Students raised during its 35-day occupation of the Native American Forum at HSU earlier this year. The CSU deeply values its faculty and is committed to investing in faculty compensation. Our dedicated faculty deserve it and our mission of serving students requires it. As soon as the state began to reinvest in the CSU, the university prioritized improving employee compensation. For the last two years, more than $129.6 million has been invested in employee compensation increases—more than half going to faculty—with another $65.5 million slated for 2015-16. The CSU stands with the California Faculty Association in advocating for additional resources from the Governor and Legislature. 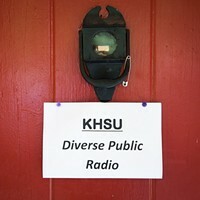 In an outgoing interview last year, former HSU President Rollin Richmond told the Journal, "... Frankly, we don't have all that many administrators here. It's not all that bad. It really isn't." Michael Camann, a biology professor and the Vice President of the Humboldt CFA chapter, says he doesn’t know why the effects are so pronounced at HSU. That focus, crystallized under former Chancellor Charles Reed, created a “rapacious” managerial class, Camann said. HSU’s biological sciences department has seen about a 33 percent reduction in tenured professors, Camann said. The adjuncts that fill those positions are qualified — “they have advanced degrees, went to school for 10 years plus, speak multiple languages” — but they work semester to semester with no contracts and low-level pay. “They don’t participate — because they're not paid to participate — in the broader academic system,” Camann said, meaning they’re not developing curriculum or mentoring students outside of class. Read the CFA report here.